Liberty Industrial carried out the dismantling and removal of the B48 Liquor Burning Stack at Alcoa’s facility in Wagerup, Western Australia. The project involved the stabilisation of the dilapidated stack and dismantling it in stages using two large hydraulic cranes. Liberty Industrial developed a safe, reliable and affordable solution so that the project was completed on schedule despite the complexity of the job and the challenges the work crew faced. The B48 Liquor Burning Stack was severely dilapidated and was in an unstable condition. The stack had corroded from its original 10mm wall thickness to 3-4mm and in some sections had corroded completely through. 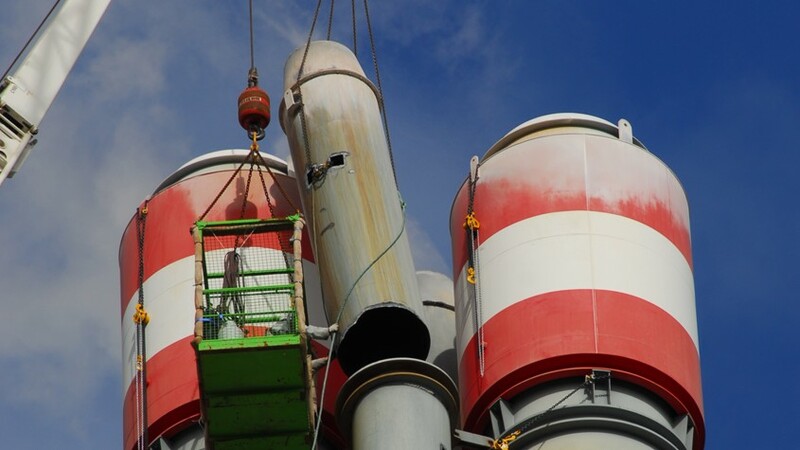 Liberty Industrial engineered a solution in which the stack maintained stability at all times during the dismantling process and completed the project without incident. 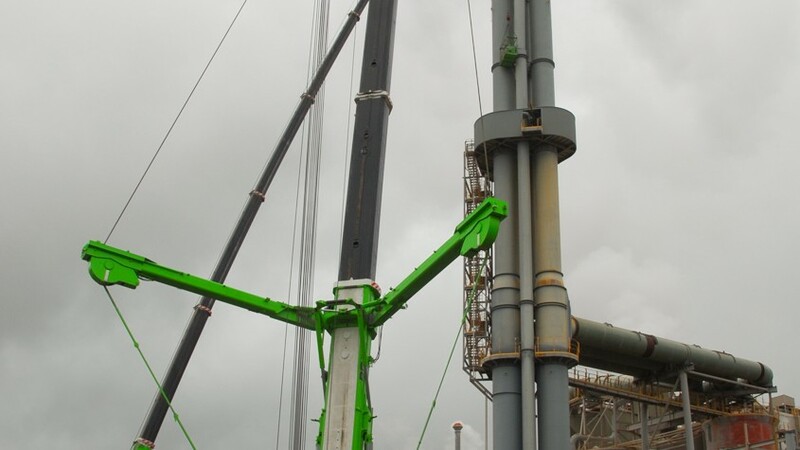 A massive 500 tonne hydraulic crane with 60 meters of main boom and 91 meters of fly was utilised to remove the stack sections whilst a 250 tonne crane with was used to gain access. The project was not without its challenges. 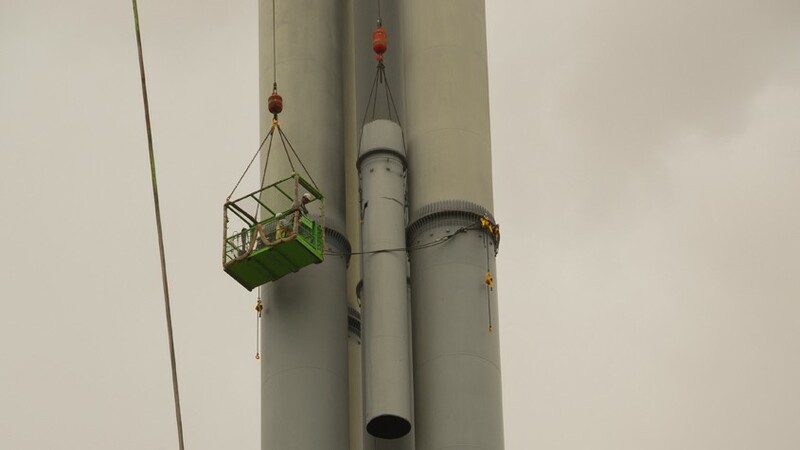 The project team had to secure the stack to maintain stability prior to the first section being removed. Assessment and monitoring was required to assess the environmental performance and structural integrity of the shortened stack once the first piece had been removed. The enormity of the crane sections meant that boom deflection was unavoidable and, as the team was working with two cranes in close proximity, extensive planning had to be undertaken to ensure that no collisions occurred. The Wagerup site was in full function and as a result, work had to be completed with special consideration as not to interfere with the operations of the site. 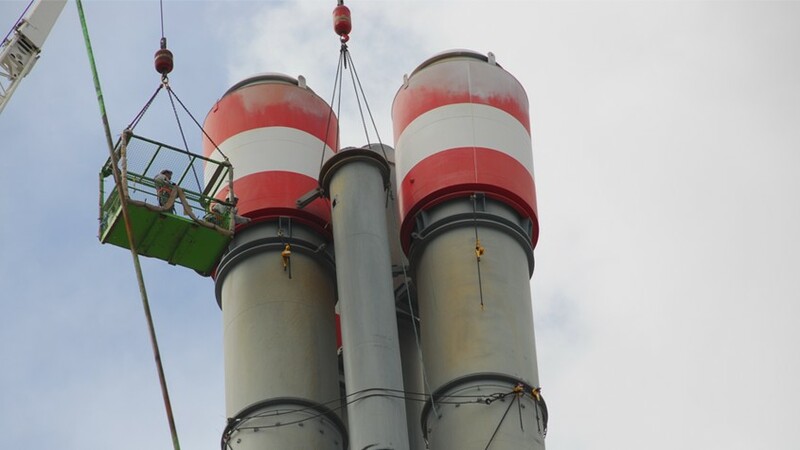 The functioning stacks surrounding the Liquor Burning Stack meant that work had to cease when the fumes were blowing towards the crane to prevent damage to the wire ropes. Liberty Industrial delivered the project in accordance with Alcoa’s world class standards and compliance requirements for the management of health, safety, environment and quality performance.